Spending time outdoors is often difficult since many of us spend most of our days under fluorescent lights, but keeping yourself cooped up indoors all day long may be harmful to your health! 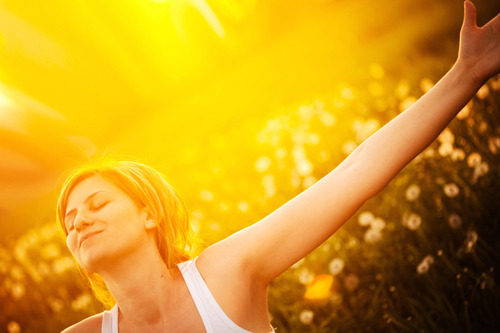 The bad news is that if you don’t get outside often and expose your skin to the sun, you may have low vitamin D. Why? Because your body actually makes most of its vitamin D from sunshine. Known as the “sunshine vitamin,” vitamin D provides several important benefits to our bodies, but it can be difficult to get your daily requirement from foods, as very few foods are naturally rich sources of the vitamin.